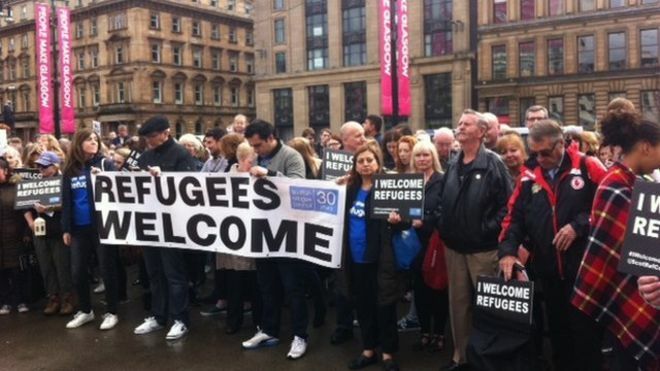 Strathclyde is one of the Scottish universities to assist refugee students as the humanitarian response to the migrant crisis builds momentum. As refugees from war-torn countries around Europe continue to push through the EU’s borders in search of sanctuary, universities have been preparing to take in and protect a number of those seeking higher education. The Strathclyde Telegraph reported last year that Strathclyde was the first University in Scotland to offer scholarship funding to asylum seeking students. An online petition campaigning for all universities to offer opportunities to refugees has gained over 600 signatures in two weeks. The appeal, backed by charity Citizens UK and the Campaign for the Public University, calls for a sector-wide response. Glasgow University principal and vice-chancellor, Professor Anton Muscatelli, said the institution will offer four fee waivers – one for each of its colleges – which will be available to applicants who do not currently qualify for free tuition through the Scottish Funding Council at undergraduate and postgraduate taught level. The university’s Talent Scholarship scheme is also being extended to support refugee undergraduate and postgraduate students. Aberdeen University recently launched the Shining Lights scheme which aims to initially fund four awards for refugee students to cover tuition fees, year round accommodation, and support for living costs. Prof Sir Ian Diamond, the university principal and vice-chancellor said: “Our community has been shocked and saddened by the plight of those fleeing violence and repression. The University has also been assembling an advisory team for students and academics fleeing war and persecution. A University spokesperson commented: “A team based in the University’s International Office will offer advice to prospective students and staff with refugee status. Strathclyde’s scholarship will be offered to up to three students per academic year. The financial support package covers tuition fees and a study allowance of £2000 for textbooks, equipment and travel costs. The fund was proposed and campaigned for by the University of Strathclyde Students’ Association (USSA) and developed in co-operation between the University, the Union and the Scottish Refugee Council (SRC). They are available to both undergraduate and taught postgraduate students. The fund aims to help students not eligible or denied funding from relevant government bodies such as SAAS.